A big subset of the argument about how Democrats should try to win back Congress this November is a narrower argument about appealing to the white working-class voters who have been trending Republican for years and trended even more heavily to Donald Trump in 2016. There is, as with every strategic question Democrats face, a “progressive” and a “centrist” answer to the question, and not a lot of evidence so far as to which, if either, messaging or policy approach works better. [T]here is a compelling argument that both the progressive and moderate-centrist views are based on an inadequate conception of how voters in many districts across the country are actually making their political choices today. In many white working-class and red-state districts, Democratic policies and proposals, regardless of whether they are “progressive” or “moderate,” never get seriously debated or even considered. In these districts, neither strategy can be relied on to elect Democrats. That’s because to a large element of this demographic, both the Democratic Party and the federal government lack basic credibility. Regaining a baseline level of trust is essential before that portion of the white working class that is open to Democratic policy arguments will hear them. Trump’s white working-class supporters are divided between a deeply racist, intolerant sector that is beyond any realistic hope of persuasion and a distinctly more tolerant sector that is potentially open to Democratic appeals and can be reached with messages that are specifically crafted to appeal to their very distinct social outlook and political views. [T]hey firmly asserted and embraced many key traditional values and what sociologists call “cultural markers” of the white working class even as they staked out relatively moderate or liberal stances on these subjects. They would endorse common-sense gun regulations, for example, but also consider gun ownership legitimate and categorically support the rights of citizens to own guns…. [T]hey frequently embodied white working-class values in their own personal life and history. Many attended church on Sunday; others had served honorably in the military or had a background in a working-class occupation or as the owner of a small business. Many went hunting on fall weekends, listened to country music in their car, and were able to talk with firsthand knowledge and personal experience about the day-to-day problems of the white working-class people in the neighborhoods and communities they represented. In their personal lives they refuted the accusation that they were educated elitists with no connection to or understanding of ordinary peoples’ lives. 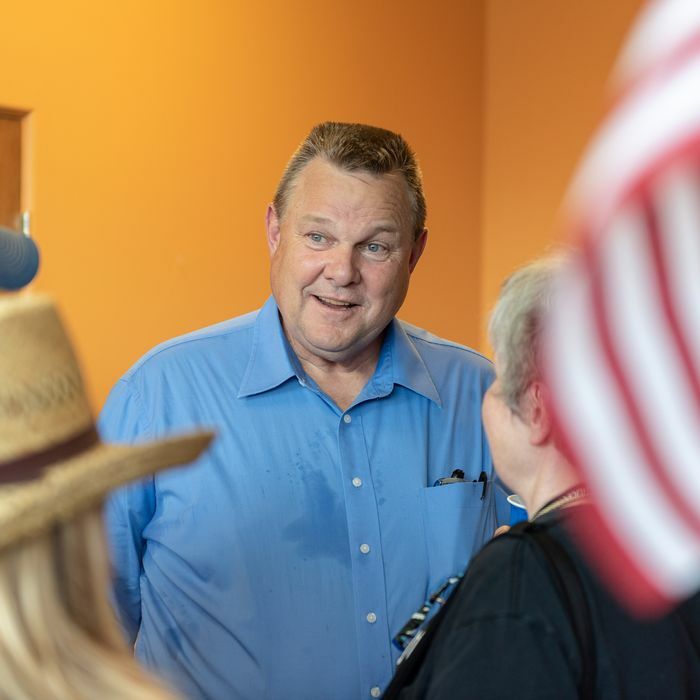 Levison tags two Montana pols, Senator Jon Tester and Governor Steve Bullock, as being really good at this. It’s interesting that Tester is often identified as a progressive and Bullock as a centrist. Their appeal in the same state is not, really, about ideology, but about getting past the stereotypes to connect with initially hostile voters. “Reforming government” doesn’t always come naturally to pro-government progressives, and willingness to fundamentally change the campaign finance system is not necessarily a given for Democratic “centrists.” Both need to change to connect with otherwise reachable white working-class voters. The most important thing right now for Democrats may be abandoning the idea there is any ideological template — progressive or centrist — for dealing with white working-class voters. Telling them to chow down on government benefits while abandoning their cultural viewpoints, as progressives sometimes advocate, is arguably condescending, and the common “centrist” approach of refusing to talk about hot-button issues is disingenuous. Connecting with these voters simply and authentically is also superior to a heavy-handed triangulating message that alienates “base” Democratic voters or college-educated suburban swing voters. One of the most urgent postelection chores for Democrats will be figuring out what worked with this shrinking, but still critical, demographic — and actually won elections in Trump country.